Are you always constipated; do you always feel bloated or heavy in your stomach? If your answer is yes, then you had better do something about it and pretty fast too. Have you ever noticed rotten smell oozing out of your drains or the sink of your kitchen, etc? Yes, you must have at one time or the other, and guess what? This is exactly what is happening to your system when you are constipated. You will most probably have noticed the regular belching, and oozing of offensive odour out of your system or body even as your body excretes wastes through sweating, exhalation, etc. If you are constipated it simply means you are just like that your drain pipe or septic tank that’s blocked. Yes, experts like Dr. Don Colbert say this means your gut is blocked. And this is also a pointer to the fact that toxins are already accumulating in your system! You most likely are missing out on one vital food substance – fibre. Check it out properly – you may be risking something big, for according to the American Dietetic Association, “Populations that consume more dietary fibre have less chronic disease. 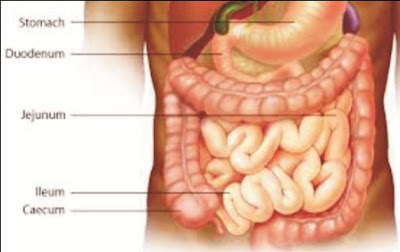 In addition, intake of dietary fibre has beneficial effects on risk factors for developing several chronic diseases.” You have not been freeing your bowel regularly. You need to evacuate your system and free it before it erupts into a more dangerous situation. You must know that your colon is the most important poison disposal system you have. It collects these harmful materials from your foods and also from your liver, which dumps them into the bile and then straight to the small intestines. After this they are then sent to the large intestine. Please if you are about to say that you have not used the loo for a week, run fast and do something about it now! It is never a normal situation. You must empty your bowel regularly, say once every day. But that means also that you must have been feeding well too. Otherwise, you are building up poisons in your guts, and it is extremely dangerous if you do not always expel the toxins through regular bowel movement. 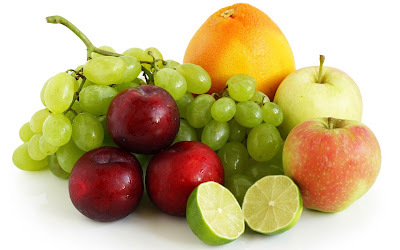 If his continues you risk contracting serious ailments such as – cancer of the colon, diabetes, indigestion leading to gastrointestinal disease, irritable bowel syndrome, haemorrhoids, etc. If for instance you desire to lose weight, you will discover that a good bowel movement makes it much easier. But once your colon is so blocked, you are courting real trouble. What to do: Ensure you eat up all of those fruits and vegetables you see all around you. Nigerians are always wont to go for what fills the stomach all the time while neglecting all the fibre rich foods and healthy mix of nutrients. You really have to slow down on all that noodles and pastas and polished rice, as well as white bread, etc. They do not help your colon and gut because they do not contain fibre; they are indeed de-natured foods. Consume rather plenty of whole foods, or fibre rich foods which are equally plentiful in your legumes (beans) and tubers. Your gari is very good too, just like your whole wheat. 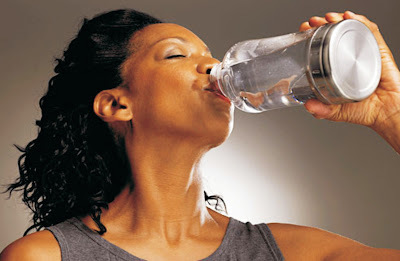 And very importantly, drink plenty of water daily; this is so because your colon will need this natural fluid to be able to adequately move ‘traffic’. Get rid of all that toxic trash and have your life back. You will soon discover that your body will no longer exude or continue to give off that offensive odour because you have been sanitised.